Mega Sale! Free Shipping Included! 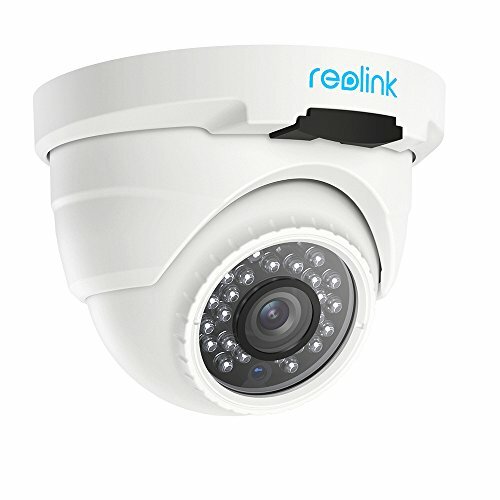 Save 21% on the Reolink IP PoE Security Camera 4 Megapixels Super HD 2560x1440 Audio Support Dome Outdoor Indoor IR Night Vision Motion Detection RLC-420 by REOLINK at Mamboe. MPN: RLC-420-P. Hurry! Limited time offer. Offer valid only while supplies last. PLUG & PLAY POE INDOOR&OUTDOOR: Wired PoE dome camera, plug and play, ceiling-mounted, versatile in applications and easy installation, indoor and outdoor use. MOTION SENSING & EMAIL ALERT: Flexible motion detection (set detection zone, schedule detection and adjust sensibility), real-time and accurate movement alert via app push notification, email, support automatically upload motion-triggered image capture and recording to FTP. FREE APPS & NO SUBSCRIPTION FEE: Rich feature and functions in free apps for iPhone, Android, Windows PC, Mac, no subscription fee, live view, remote access, motion alert, multiple channels(at least 8 camera sources), intuitive and easy to navigate user interface. AUDIO FUNCTIONS & 24/7 RECORDING WITH NVR: Built-in microphone, enable/disable audio on apps, reliable non-stop surveillance, HD video, 24/7 video recording with Reolink PoE NVRs (support up to 16 cameras and all Reolink PoE cameras).